Verandas and veranda conservatories are an innovative and practical Ultraframe creation. Make the most of those Summer months with a stylish veranda from Select Products. Our range of verandas is constructed using Ultraframe’s premium design. This brings an attractive harmony between the classic aesthetics of colonial design, and the innovation and improvements of modern design. Weatherproof, contemporary, spacious, durable and secure, verandas are a true achievement when it comes to home improvement. Having been updated in design, verandas are highly adaptable in their installation. This allows them to accommodate to the needs of your property. 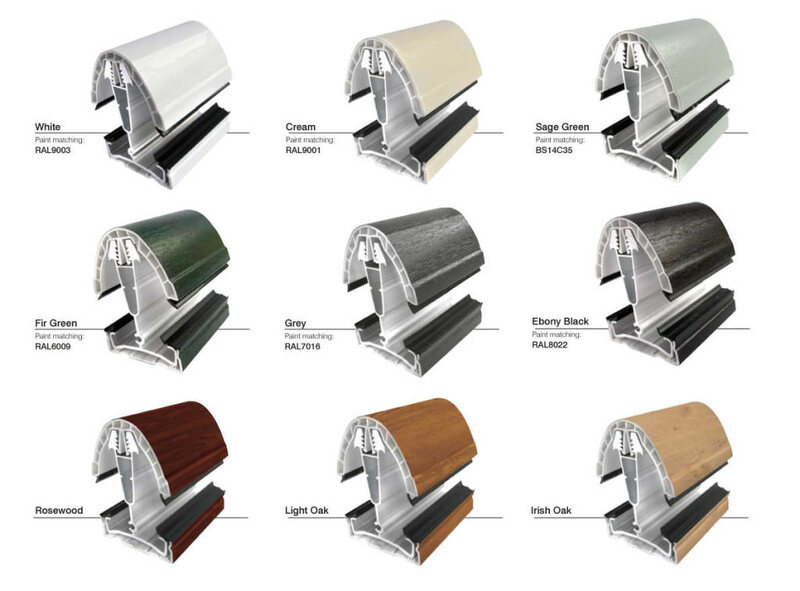 Our verandas also come in a variety of colours, to effortlessly extend your property in keeping with its character. These colours are available internally and externally for maximised customisation. Our exceptional range of verandas is available throughout, Leeds, Horsforth, Harrogate, Pudsey, Yeadon, Bradford, Ilkley, Wetherby and Otley. Classically designed, veranda conservatories date back to the colonial times when their unique architecture featured in many terraced and commercial properties. They were commonly built around a central structure which featured a roof open gallery or porch. Veranda conservatories have been adapted into a new style of lean-to conservatory. 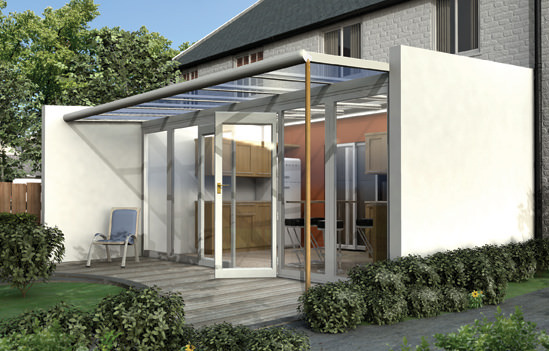 Verandas combine height with bi-fold sliding doors to create a stylish extension. Here at Select products, our veranda conservatories feature the very latest roof designs. Our conservatories feature built-in tracks for fabric panelled blinds or shades, allowing you to customise your extension. The outside of your conservatory will feature a strong, weatherproof fabric whilst the inside of your conservatory is designed to match your home furnishings with soft fabric shades. The main beam is constructed from powder coated aluminium which consists of integral gutters and a supporting beam. The oak posts feature gasket stopends which lend high structural support. Our veranda conservatories are available in a variety of internal and external finishes, including colours such as: White, Cream, Sage Green, Fir Green, Grey and Ebony Black. Ultraframe Verandas are like no other type of conservatory. Keep reading to discover some of the many benefits of this unique roof system. Take a closer look at our range of verandas and you’ll discover a roofing system that’s been designed with outdoor living in mind. 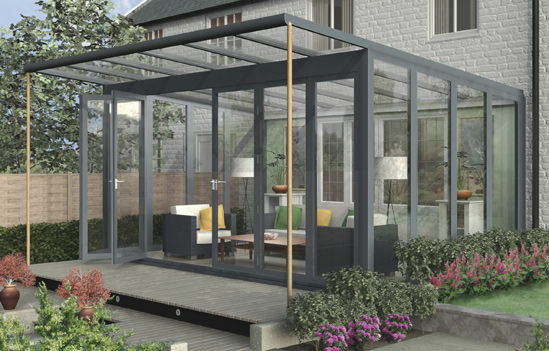 If your family enjoys spending time in the garden, you’ll love the fact that the glazing bars in the roof oversail to create a shelter that will protect you when it’s raining – which means you’ll be able to relax with a book or entertain friends, no matter what the unpredictable British weather is doing. Ultraframe verandas come into their own when bi-fold doors are used as part of your conservatory’s design. Because this style of door can be opened to almost threshold length, you won’t have to keep opening and closing it when the weather changes. A bi-fold door will be the perfect accompaniment for your new veranda. 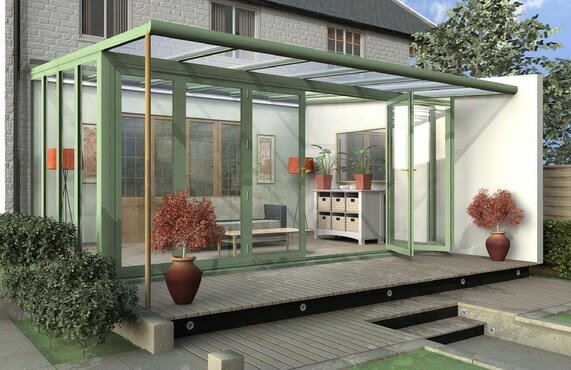 The wide aperture created by the bi-fold doors you’ll probably have incorporated into your veranda’s design will turn your conservatory into a multi-functional space. When the doors are closed, you can relax in comfort. When they’re fully open, you’ll be rewarded with a transitional point that will come in to its own whenever you’re entertaining friends – whether it’s a dinner party you’re hosting during the day or an evening BBQ. Look at pictures of verandas designed and manufactured by Ultraframe, and you’ll be drawn to the powder coated half round beam that runs along the front of the conservatory. This beam performs two important functions. It provides structural support for the oversailing glazing bars and doubles-up as guttering that can be connected to aluminium downpipes that redirect water away from your conservatory and into the garden. Classic or Classic Plus Roof? The Ultraframe roof system you use as a basis for your conservatory is up to you. Two options will be available when researching verandas: Classic or Classic Plus. What’s the difference between these two roof types? The latter includes built-in tracks that allow fabric devices called Shades to be incorporated into the design. Verandas that include Ultraframe Shades look and feel like rooms. The soft fabric theme they use will tie-in with any other furnishings you’ve used to populate your conservatory. Shades is an extremely hard-wearing product and is weatherproof – so it won’t deteriorate when exposed to harsh weather in autumn or winter. What Type of Wall do You Want? Ultraframe’s verandas allow homeowners – and approved UltraInstallers, like Select Products – to be extremely innovative at the design stage. One side of your conservatory can be built from masonry, the other can be glazed. Alternatively, masonry can be used to construct both sides of the wall – it depends on your preferences. Ultraframe’s verandas can be customised to tie-in with the themes and schemes used in your home. Although Sage Green is a popular choice, other shades will be accessible to you when customising your new veranda. You can even use different colours on the inside and outside of your conservatory to achieve a truly unique look. Contact Select Products for more information about Ultraframe’s verandas. 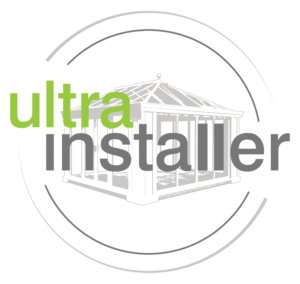 We are an approved UltraInstaller, which means we need to demonstrate in-depth knowledge of the products we sell on their behalf on an ongoing basis. To talk to a member of our team, please call us on 0113 257 8933 or use our online contact form to send us a message. 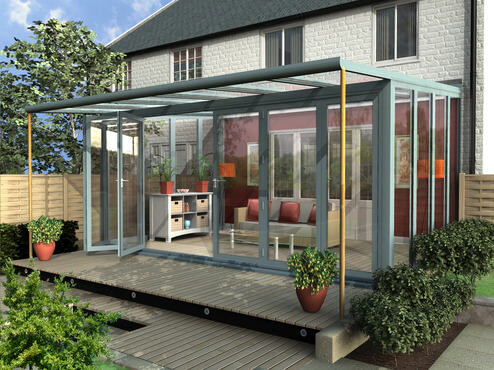 We can provide prices upon request and answer any technical queries you have about the Ultraframe Veranda system. 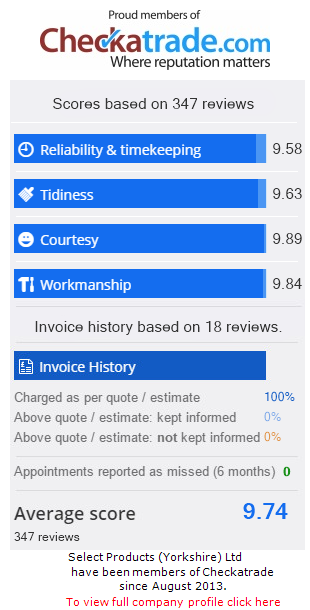 If you want some guideline prices in a hurry, please visit our free online design tool. Enter some basic information about the product you are interested in and receive a quote within a matter of minutes. We can help with other products too. Why not ask about our exciting range of windows, doors and roofline products when contacting our friendly team. We would be pleased to help with any aspect of your home improvement project.